Eva Maze has lived a more exotic and unrelentingly exciting life than most dream of. With Ballet in My Soul: Adventures of a Globetropping Impresario is a stunning adventure into a ardent young person’s pursuit of art and passion for sharing it. Her memoir is as much a gift to the world as was her contribution in bringing Alvin Ailey American Dance Theater to Germany, braving international conflict in producing a folklore festival for the Munich Olympics, or touring stars of London Festival Ballet to India, where ballet had not been seen since Pavolva’s tour 30 years earlier. Eva Maze became a bold and astute art and business professional in a time when most married ladies did not work, in one of the most difficult industries in which to attempt success. She gives due credit to her late husband’s steadfast support, both emotionally and financially, without sugarcoating the realities of living often apart. Its clear, however, that it was her intellectual gifts and commitment to education and knowledge that formed the foundation of her success and helped her take advantage of the opportunities that came her way through social connections. A lovely dancer herself, Ms. Maze began her path in classical ballet, studying and eventually performing professionally in small roles. Gorgeous personal photos of her dancing days and performances are throughout the book, along with old family photos of her family going back to the early 1920s. There are also plenty of illustrations of the dance and theatre companies she presented during her her lengthy impresario career. As the subtitle suggests, she traveled the globe from Bucharest to America, then back to Europe and across Asia. Each chapter is dedicated to a different city of residence and includes fascinating contexts of the political atmosphere of each country during that time, without overwhelming the reader with history lessons. They are a reminder of how complicated politics worldwide are, and how they continue to evolve in response to their interlaced histories. Ms. Maze ran in the circles of some of the highest societal classes during her travels – including royalty in India and Greece – and their stories were often as dramatic and tragic as any in history. Yet they have been folded into history, forgotten if ever even known by the average American. 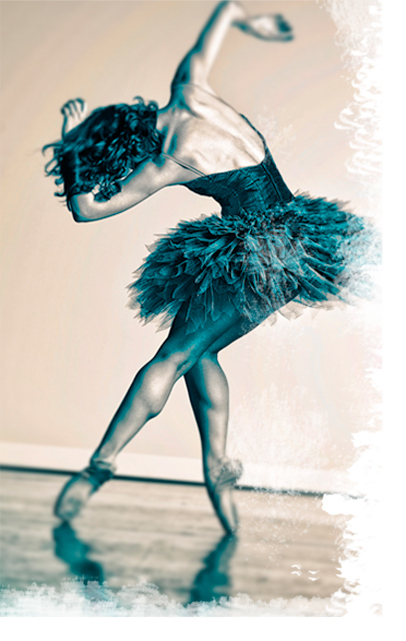 With Ballet in My Soul portrays a life more fully lived than most of us can ever imagine. I hope it will give, especially young female dancers, a sense of the many possibilities for an artist that extend beyond traditional professional company ballet – that is possible to create for yourself a unique path of your own creation that honors your special gifts and passions in a way no other life could.